Includes four wheelchair tie-downs, one lap belt/shoulder harness connector and bag. One system is included standard. Connects to floor-mounted tie-down track, stands rigid for use with lap belt/shoulder harness. 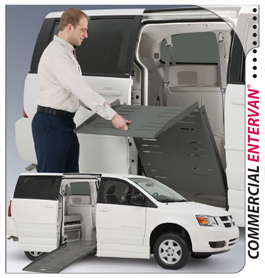 Interfaces with standard and optional wheelchair securement systems to facilitate proper occupant restraint with a wide variety of wheelchair configurations. 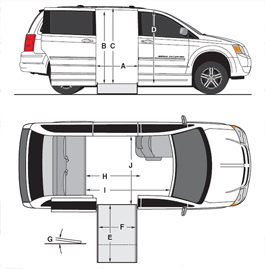 Allows for removal of OEM overhead storage rail for increased headroom down the center of vehicle. New low profile interior panel is color matched to OEM interior. Specify Color.